The Article: Facebook’s Sheryl Sandberg Explains What’s Holding Women Back in NPR. That book — Lean In: Women, Work, and the Will to Lead — is something of a feminist call to arms. In it, Sandberg, a 43-year-old former Google executive with two Harvard degrees, is calling on other women, as she puts it, to “lean in” and embrace success. And it has struck a chord. In the weeks leading up to the book’s publication on Monday, Sandberg, who has not been known to court controversy in the past, has been the subject of critical op-eds and cranky commentaries. Sandberg is no stranger to success. Back in 2011, she was named Forbes Magazine’s fifth most powerful woman in the world (after No. 1 German Chancellor Angela Merkel, No. 2 Hillary Clinton, No. 3 President of Brazil Dilma Rousseff and No. 4 CEO of PepsiCo Indira Nooyi). Two lines of argument run through Lean In. One of them has to do with how society has changed through multiple generations of feminism. The other has to do with the way society views women — and how that affects the way women view themselves. Sandberg’s book is full of statistics that reveal how — even in 2013 — women simply aren’t making it to the top. The gender gap is particularly egregious in Sandberg’s own industry; women make up less than 18 percent of the ranks of computer science majors. But Sandberg thinks the situation has evolved and that today’s companies and boards are looking to have more women at the table. 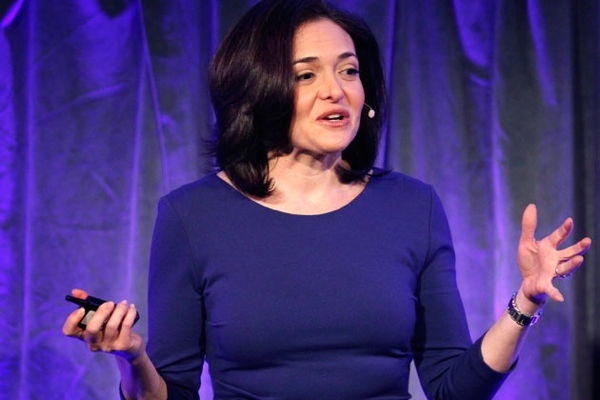 Some of Sandberg’s critics have questioned whether someone who has already made it to a position of wealth and power — who is no longer necessarily tethered to duties at home — can reasonably suggest that other women should follow in her path.